The Olevia 332H is another budget-priced LCD HDTV available from popular online stores like Amazon.com and large retailers like Target.com. 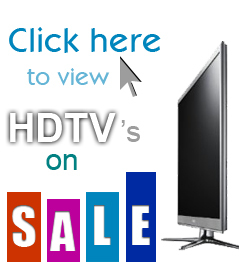 You’ll notice Olevia is one of the lowest priced LCD HDTV’s available on the market today. The 332H is a 32 inch, 720p resolution HDTV but can be found for around $500; not a bad price for an LCD TV of this size. The Olevia 332H contains a silver exterior with a small strip of black separating the screen from the bottom mounted speakers. We prefer bottom mounted speakers to side mounted speakers because it reduces the already wide width of the TV and if you already have a entertainment unit, you will be able to fit a larger screen size in your unit. It’s important to note that to view HD content, this TV will require an external tuner. The TV is HD capable but missing the tuner that is required to receive the signal. Another negative aspect is a lack of inputs. This may be an issue for some users if you have lots of external devices. The 332H is a great option for someone looking for a basic LCD TV. If you’re not planning on viewing HD content, you will be saving a few hundred bucks on the HD tuner that you wouldn’t be using. The Olevia 332H is also a great option for someone to use in the office because it can double as a computer monitor. Overall, the 332H is a decent TV but deciding to purchase it really depends on your needs. If you don’t care about HD, it’s an attractive option. If you are going to view HD, you may want to look around. HDTVUniverse.com gives the Olevia 332H 7/10 stars!
! ! ! Returning 2nd Olevia HDMI for bad speakers ! ! ! SOUNDS LIKE A SMOKE ALARM GOING OFF. PICTURE IS FOGGY. Store said we need a special cable for clairity.